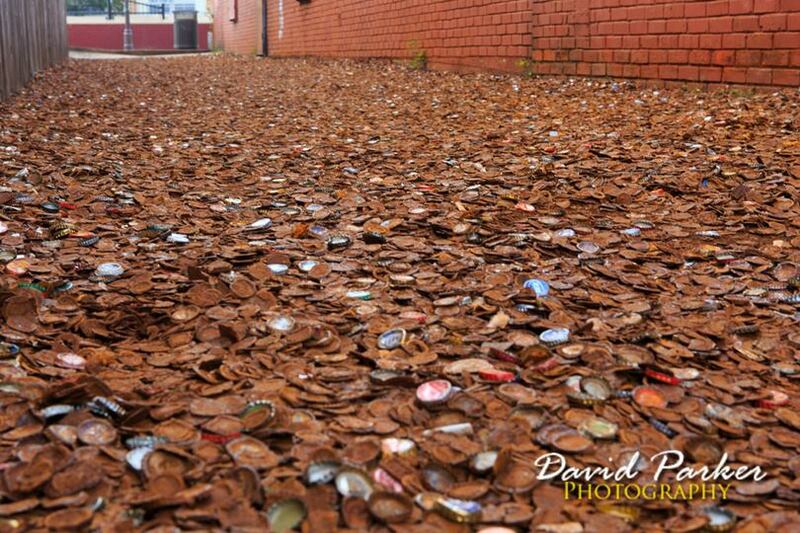 Bottle Cap Alley, a street paved with around four decades of discarded beer and soda bottle caps. 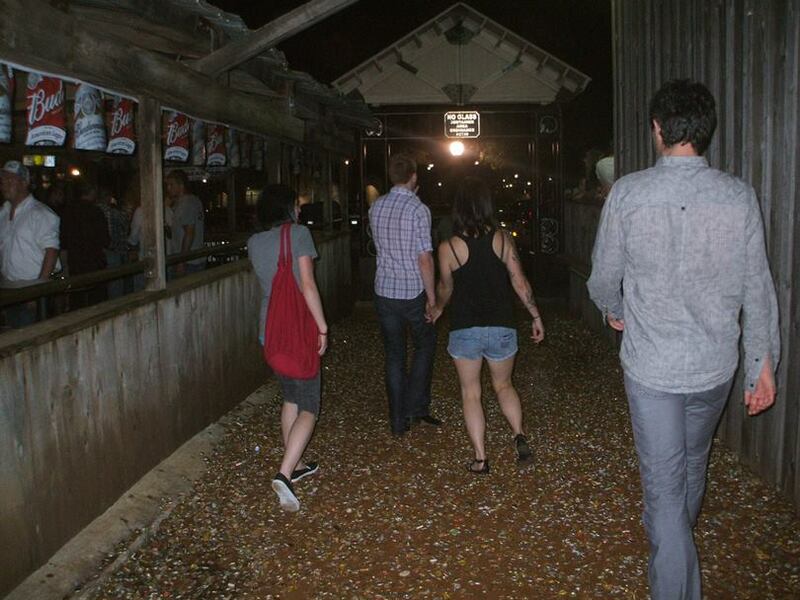 An alley in Texas, USA, has become famous and attract lots tourist to visit not because of any infrastructure or any interior or exterior design of any building or malls only because of scraped bottle caps which is paved on the street of north edge of the Texas A&M University campus, in College Station Texas. The alley entrance is on the north side of Hwy 60/University Dr, midway between College Main and Boyett. 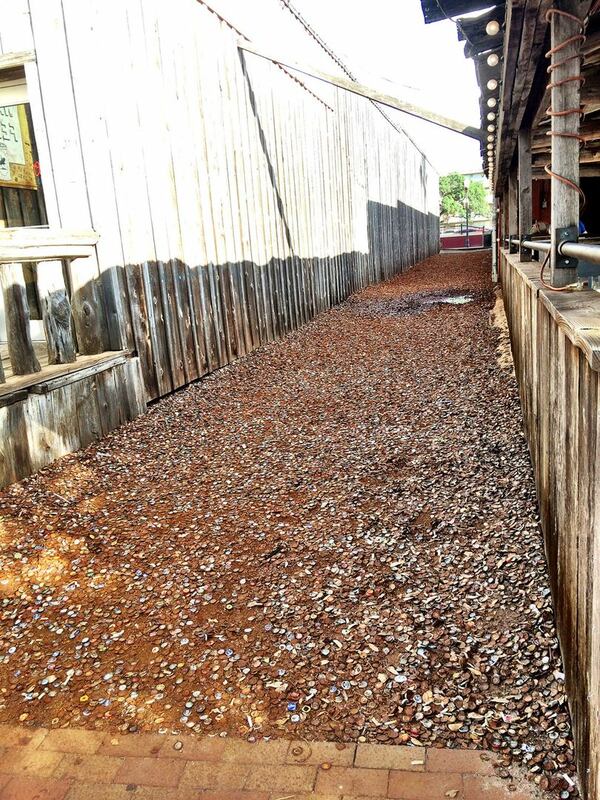 The bottle caps is paved with thousands, millions of old bottles the alley is approx 164 foot long and 7 foot wide. 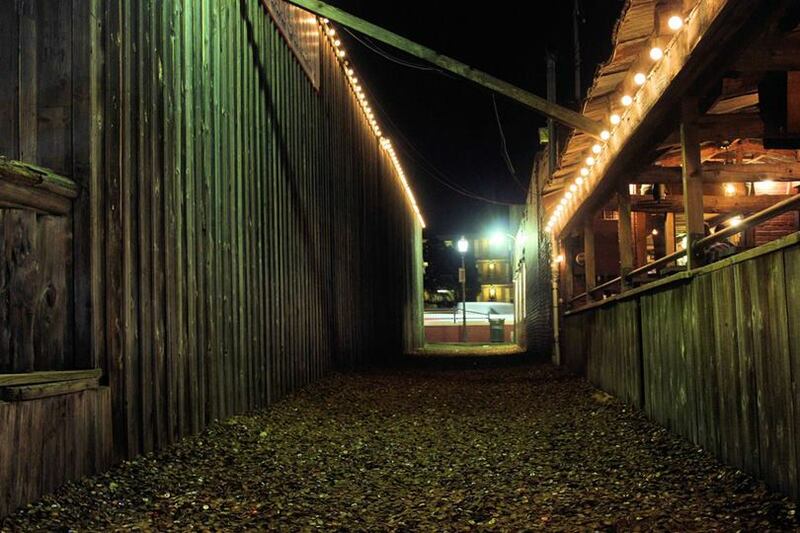 Nobuddy know about the tradition of this alley was began, but some people believe that it was started out as a dumping site and the alley is in between Dry Bean nightclub and Dixie Chicken. 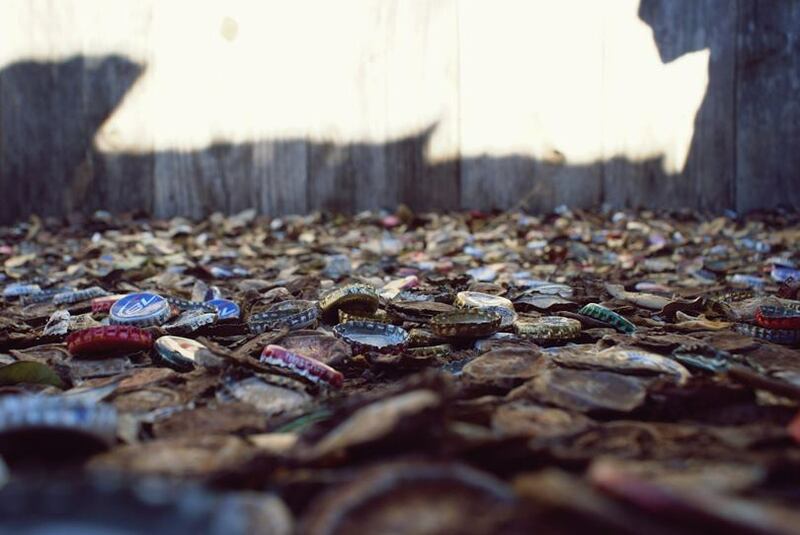 Vendee who took their drinks outside and followed their example, and the story of the Bottle Cap Alley began and spread day by day. 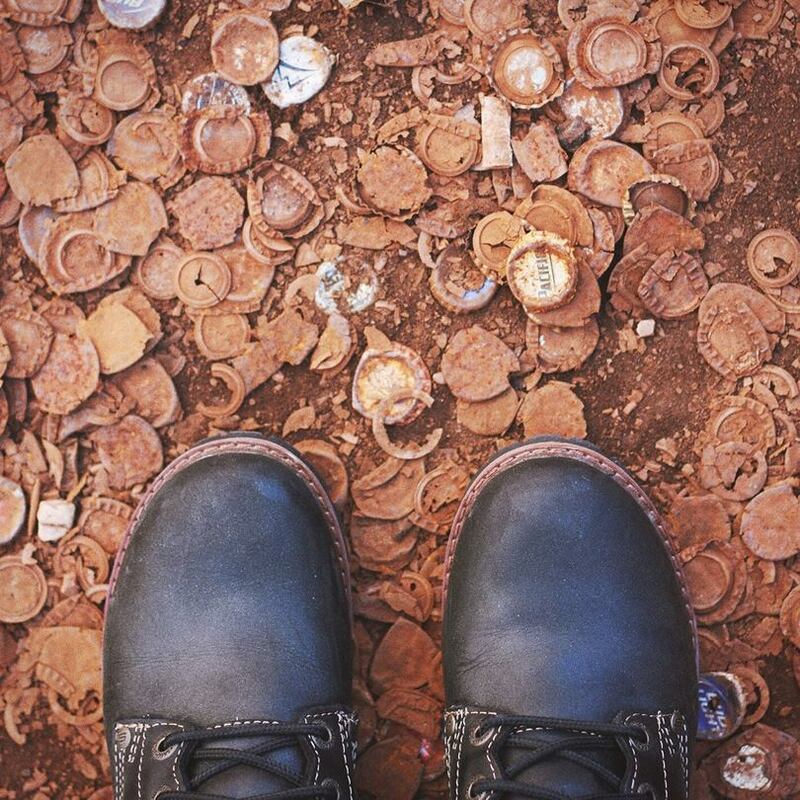 As well as other local bars and restaurants are starting dump of their nightly haul of bottle caps here and this tradition regularly goes on around forty years. 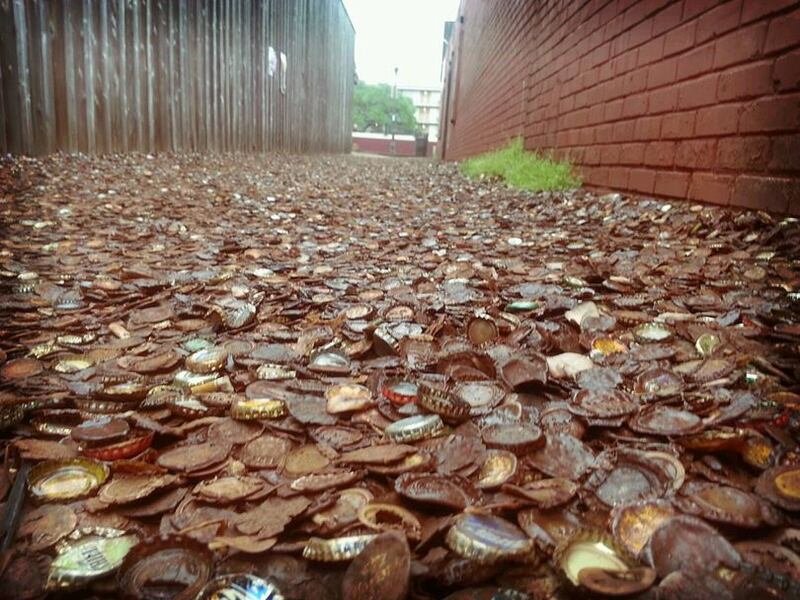 In year 2000 the Bottle Cap Alley was officially recognized by local authorities, authorities admit that this alley has potential to attract lots visitors and alley began to promote as a part of the local sightseeing tour. According to OddityCentral and Atlas Obscura neighborhood establishments no longer contribute too much to its preservation. 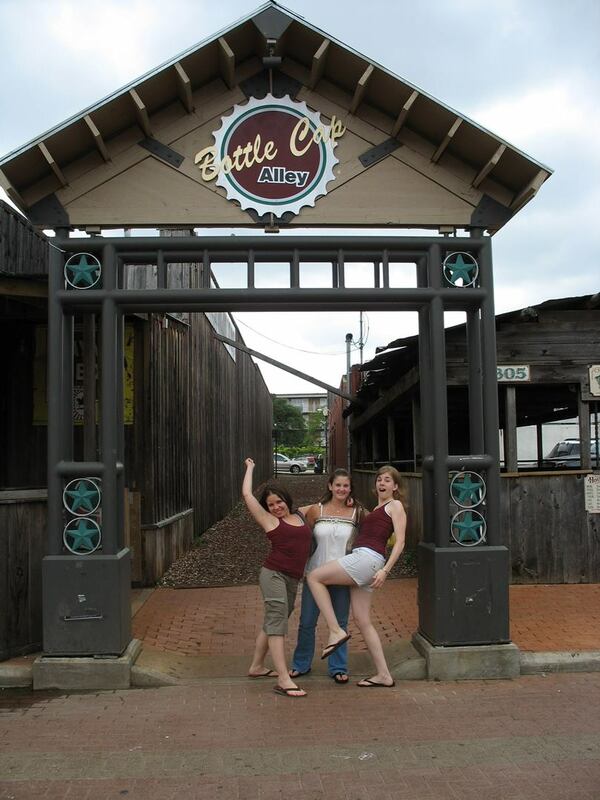 They don’t sell as many beer bottles as they used to and have become more environmentally conscious. 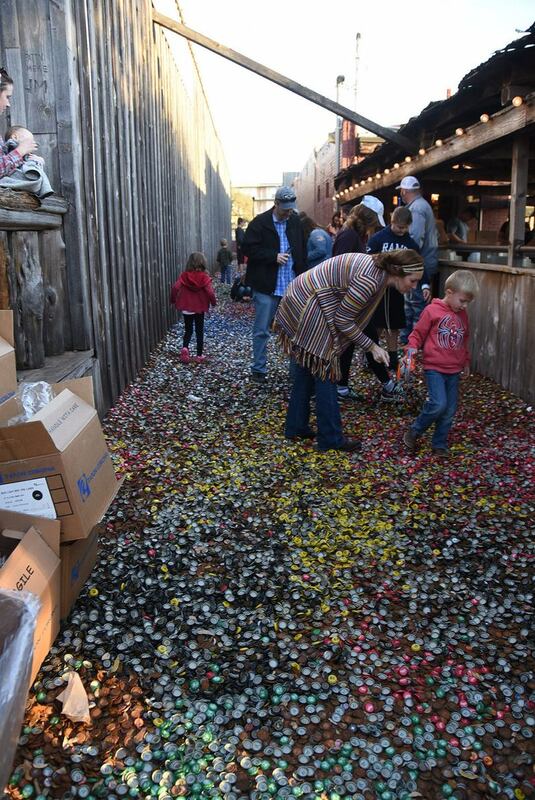 But the unique alley still has a special place in the hearts of A&M students, many of whom save their bottle caps and bring them here by the thousands, to keep Bottle Cap Alley alive. 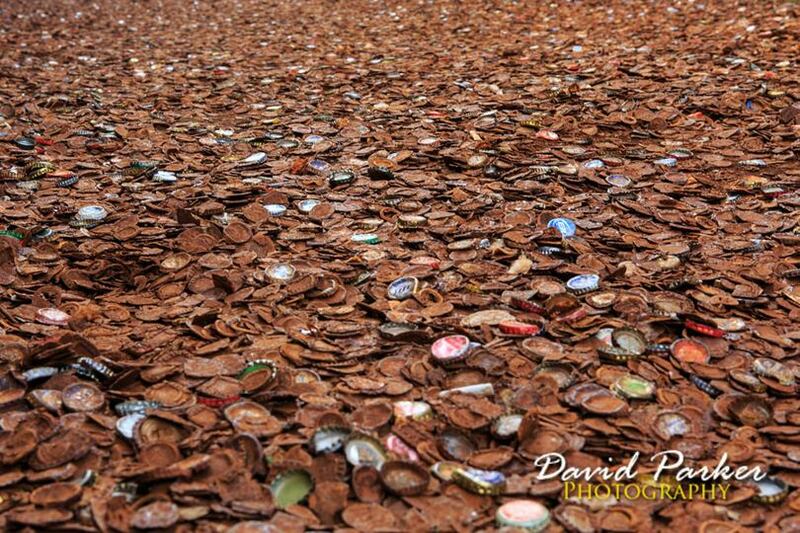 In fact, after realizing that mostly American beers brands were represented in the alley, some people made a point to bring caps from imported beers, making it a sort of international bottle cap gallery.